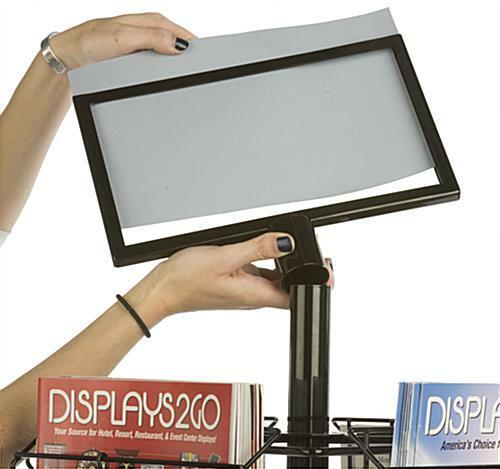 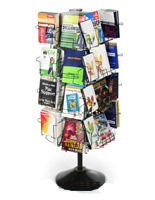 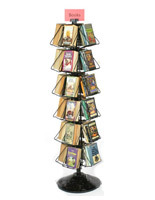 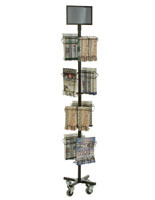 These rotating literature racks feature adjustable pockets that can display 8.5"x11" catalogs or 4"x9" pamphlets. 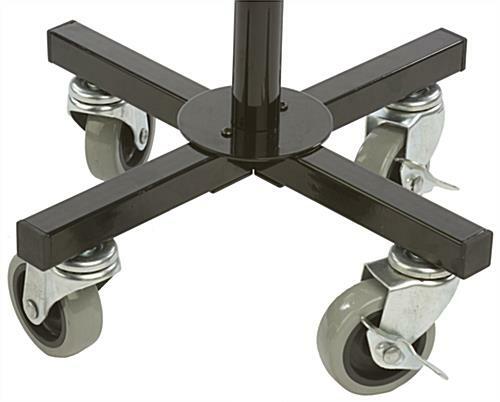 The wire stands also have (4) tiers that spin individually and 3" caster wheels for easy mobility. 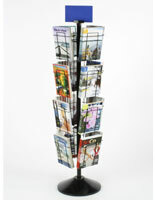 The literature racks are great for merchandising publications in lobbies, retail stores and waiting rooms with their full-view design. 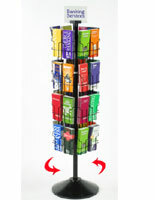 Each catalog holder offers an 11" x 17" header for personalized signs. 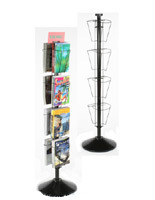 The racks for retail stores have (16) 8.5"x11" pockets that can be adjusted to (32) 4"x9" shelves by moving the wire barrier. 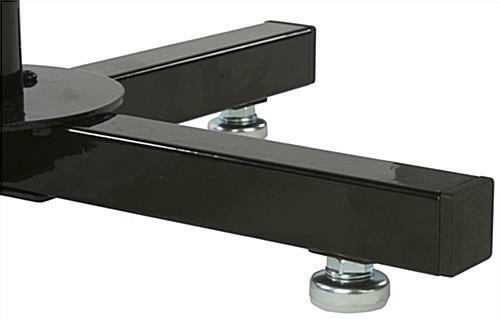 Two of the stand's wheels lock to remina stable in any environment. 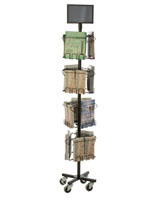 9.0" x 8.9" x 1.5"